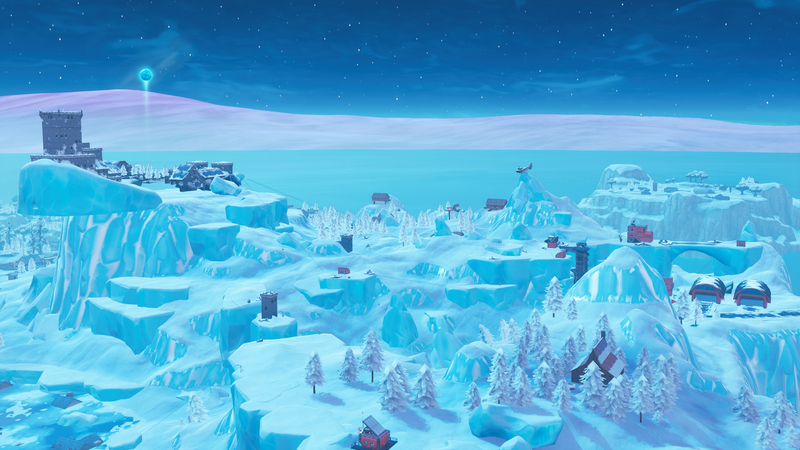 The winter has come to Fortnite Battle Royale, with the mysterious ice king breaking free of his sky orb to coat the island in a layer of sharp snow. Get out of the way, Ice King, I'm trying to appreciate Northern Lights. It's not just snow out there now, it's also extra dangerous. Ice Fiends, which are zombies, but also cold (so much worse) are spawning across the map, and new challenges are about killing them in different ways. Players have also seen a number of eggs stored in Polar Peak. So far, they seem unbreakable and leave open speculation about what can shut them down. My money is on lots of little ice kings that will come completely mature and form their own peaceful community, unmanned by the battle of royal races around them. Most other people seem to think it's going to be a kind of dragon. Time will tell. The floating ice king floating in size adorned us with his orbs frozen presence last patch, which also added a new revolver, a lot of balance changes, and the ability to redistribute glides again as a kind – only if you have the object and even only ten times.